Hitting back at the Wilson Security Sandown 500 shows Holden Racing Team has not given up, Garth Tander says. The 2007 champ believes winning the major event with Warren Luff by just three-tenths of a second was a much-needed boost for the team, which has continued to push for results despite recently losing their factory support from Holden. 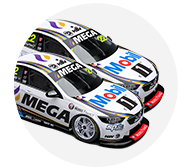 Today they beat the team that takes the ‘Holden Racing Team’ title from 2017 and Tander has his sights setting on doing it once again at Mount Panorama next month, when they suit up for the Supercheap Auto Bathurst 1000. “Obviously with the announcement a couple of weeks ago that Holden are relocating their funding, it’s just shown that the whole organisation hasn’t dropped its lip, its just got on with business,” Tander said. The 2007 champ was pleased to give the HRT team a boost at the right time of year. Team boss Adrian Burgess was quietly confident after the squad’s recent test day and that paid off this weekend. “I think what’s really important is for the guys within the organisation to realise what they’re doing is working,” he said. “We are slowly getting back to where we need to be and we had genuine pace all weekend this weekend. Tander clinched the victory with Warren Luff after the two took out the Pirtek Enduro Cup together last year. 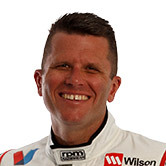 Tander is one of the most experienced drivers in the Virgin Australia Supercars Championship field, and after many races at Sandown, this was his first win in the Sandown 500. He did win the pre-Bathurst enduro when it was staged at Phillip Island in 2008 and ’09 with Mark Skaife and Will Davison respectively – but today was his first Wilson Security Sandown 500 victory. “It’s one I wanted to add to the resume … certainly I wouldn’t mind winning the next one either! As for beating arch-rival team Triple Eight? “I think a lot’s going to be made of that,” he said when asked about firing back at Triple Eight. “But in reality it wouldn’t have mattered if it was those guys, Will and Webby, a PRA car or Volvos – it doesn’t matter.